The season is not over yet, for me it looks like it is the best time of the year, with endless daylight and still reasonable temperatures, not too cold but not too warm. 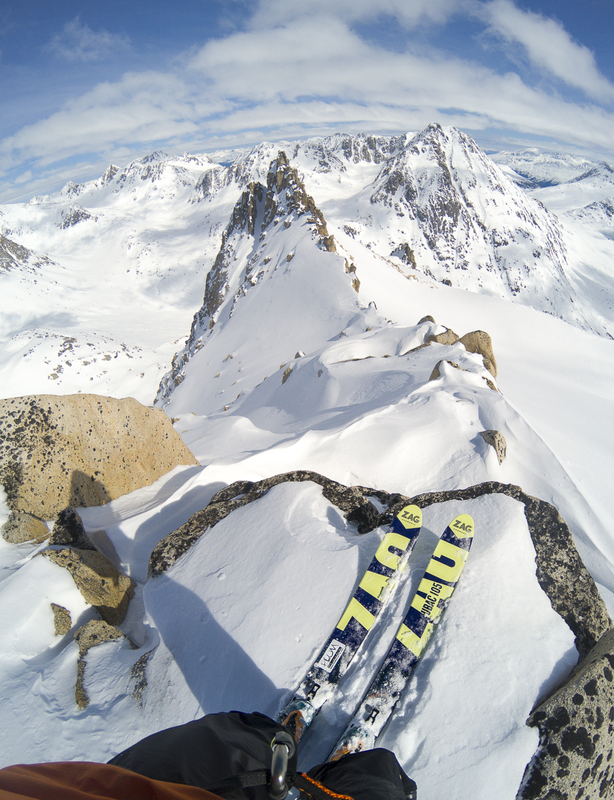 Stability is better than all winter long if you avoid being too late on the slopes. With a hard snowpack, it is easy to travel long distances with minimum energy. The last days, the sky was not blue bird, but the weather was not too bad with good windows of a nice and sunny sky. 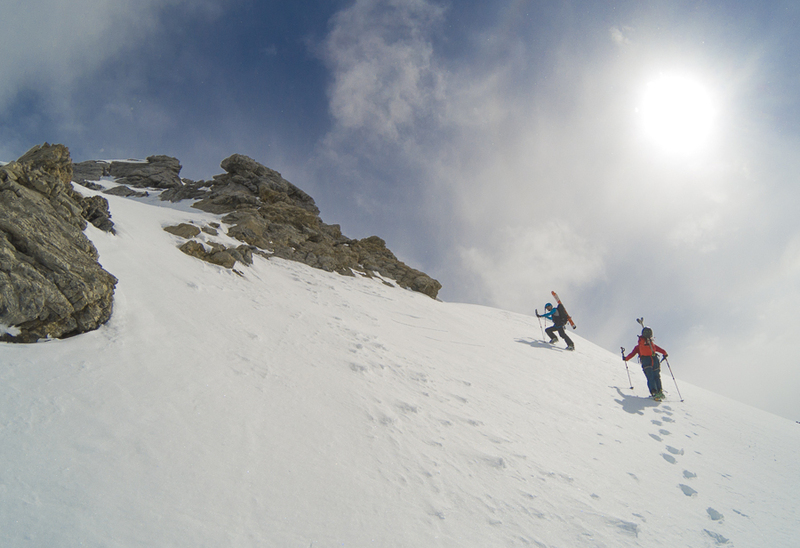 It is still easy to find very good corn snow or even cold, noncohesive snow… almost powder a bit higher on north faces. 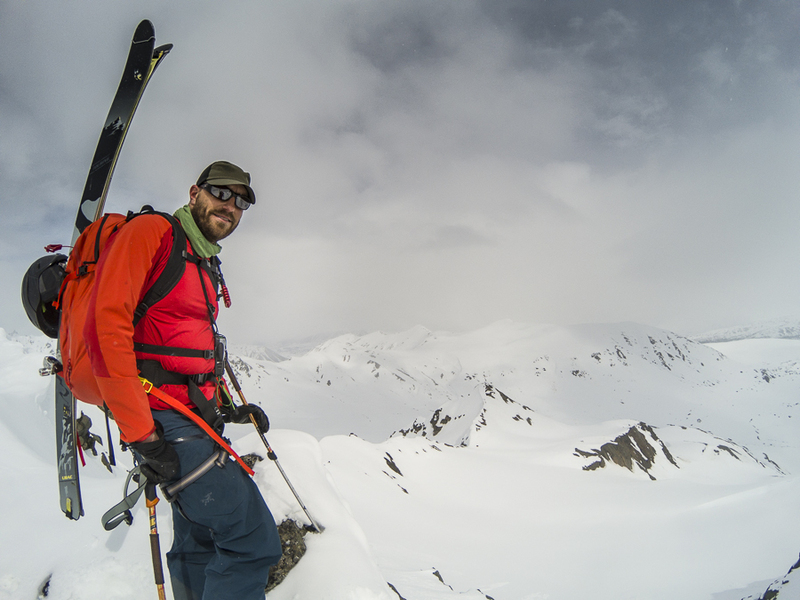 White Pass or Haines Pass still offer some good possibilities and you can still ski right from and to the parking lot. Haines Pass was almost dead last weekend, we did not see anybody there. In town, people are too busy getting their summer toys ready, they do not think about winter anymore. Snow stability was good but you will notice a lot of rocks, fallen from the cliffs and ridges. Yes, the earthquake did leave some tracks, especially on Haines Pass, it seems like the epicenter was very close to Kelsall Lake and Datlasaka. In the news, they said it has released a lot of avalanches, we did not notice that, but it was obvious that a lot of rocks came down that morning. 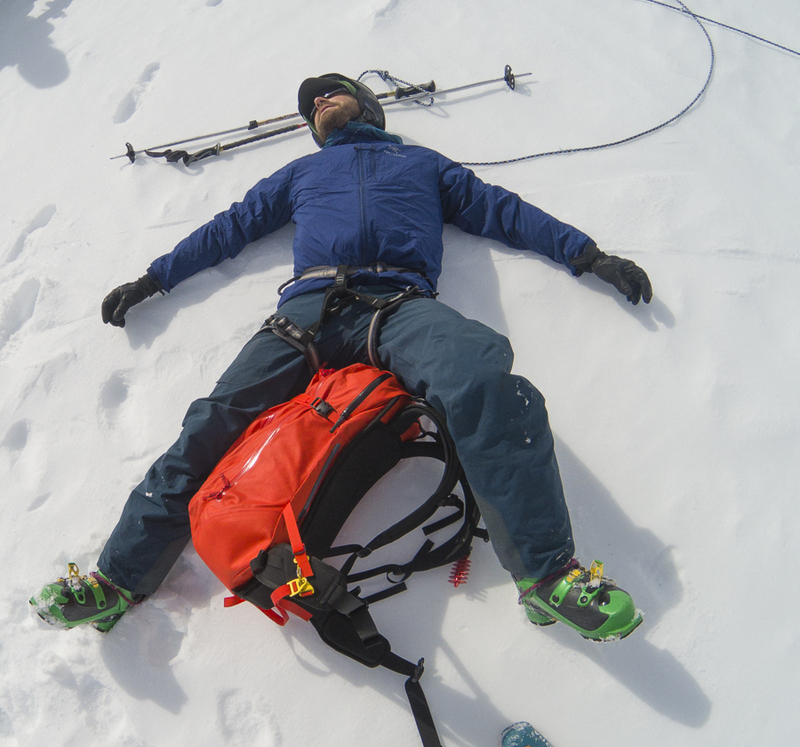 We were sleeping close to Haines Pass when the ground shook…and it was quite an experience. Specialists said it was recorded between 6.2 and 6.5… and yes it woke us up quickly at 05.30, the cabin shook violently and the noise was terrible. The heavy woodstove was moved, the stove pipe was disconnected and all the shelves were unloaded. Then for 30 minutes, it was shaking again every minute with still a very loud noise. 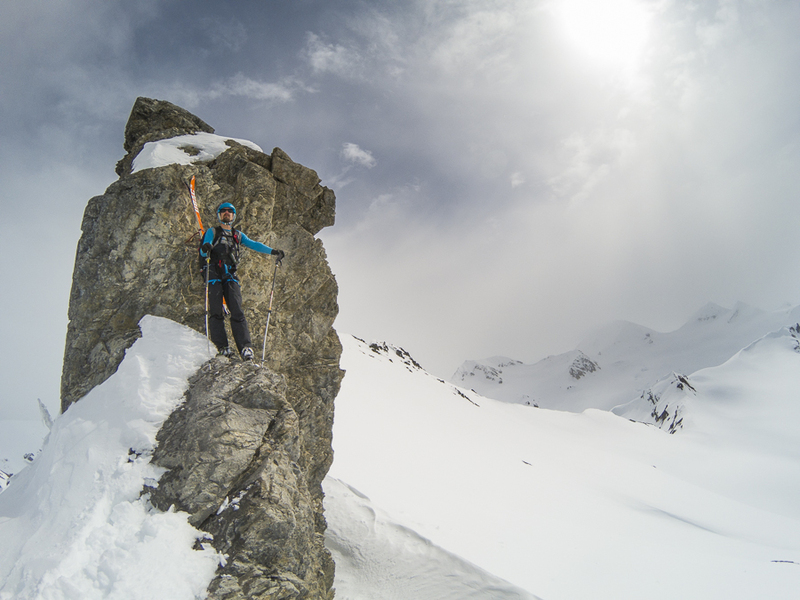 It calmed down a bit for a while but anther violent shake put us outside again….very scary experience, for us it was the most impressive earthquake we ever felt… After a few coffee, we were on our way to king Throne for a last day skiing. 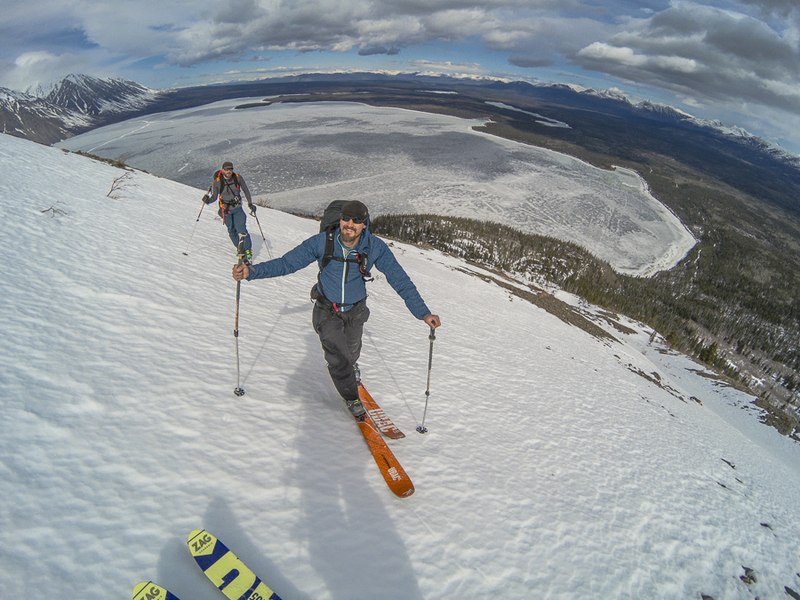 A nice morning at the end of West Nadahini Glacier, still some very good snow, one of us felt very tired …. 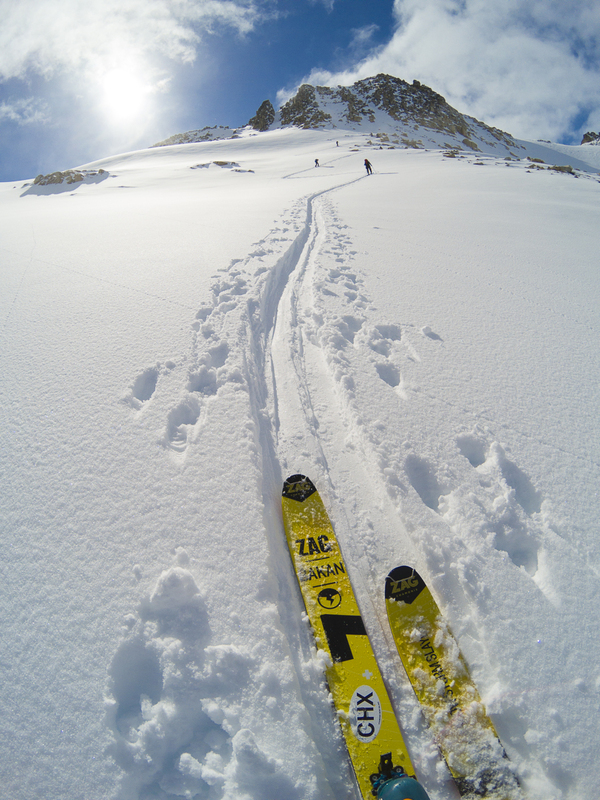 We were the only ones in the area, so we had a lot of options to make some nice turns. 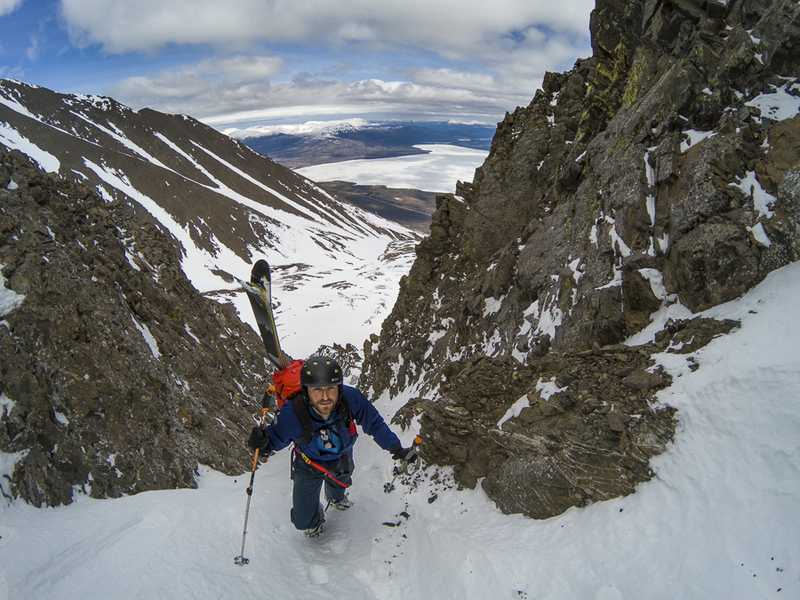 It is also the good time of the year to stay a little bit lower to do some real Yukon Skiing in the couloirs. 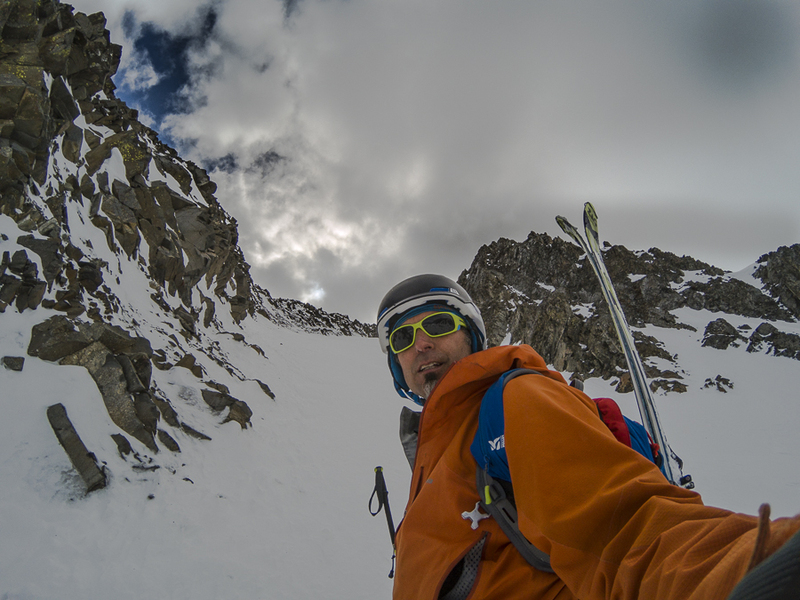 Dalton Peak area has dozens of those couloirs, large, narrow, steep, straight…it has everything. 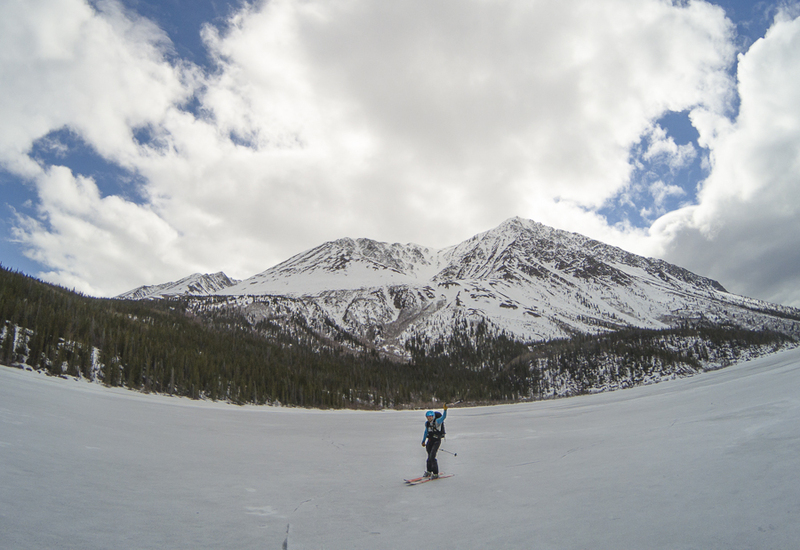 Another nice day on King Throne, Kathleen lake is still well frozen, offering an easy and quick access. Thank you to ZAG for this new pair of Ubac 105, the new 2018 model which will replace the Ubac XL. I tested these in various conditions…sure I will keep them. Very trustable companions, they will not disappoint you. 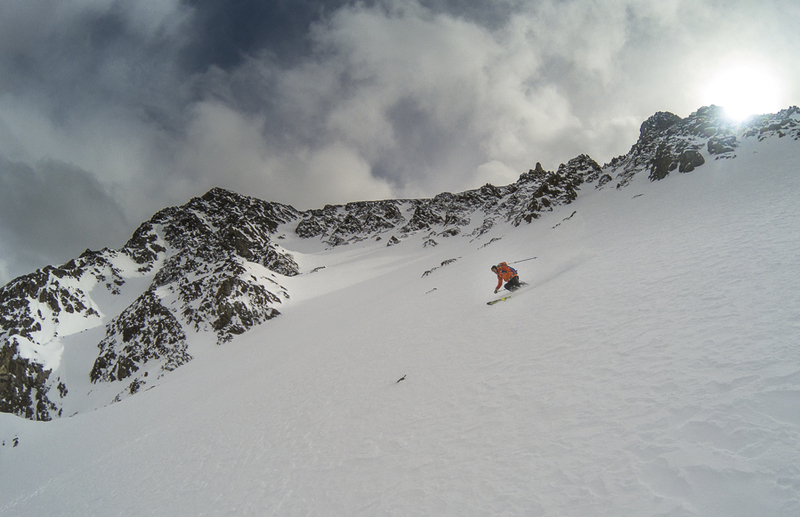 Easy to forget when skinning up because of the light weight, but so responsive when charging down, and what a grip on steep slopes and hard snow. Nice write up and pictures, looks like everyone stayed safe and had fun, even if someone was tired! 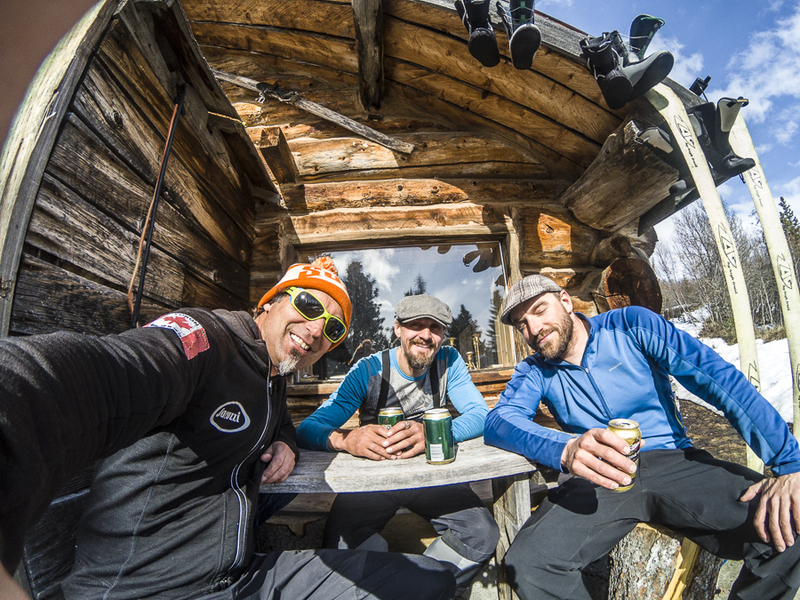 I’ll buy beers if if I can join any of you all ski-touring the weekend of May 13 or 14. 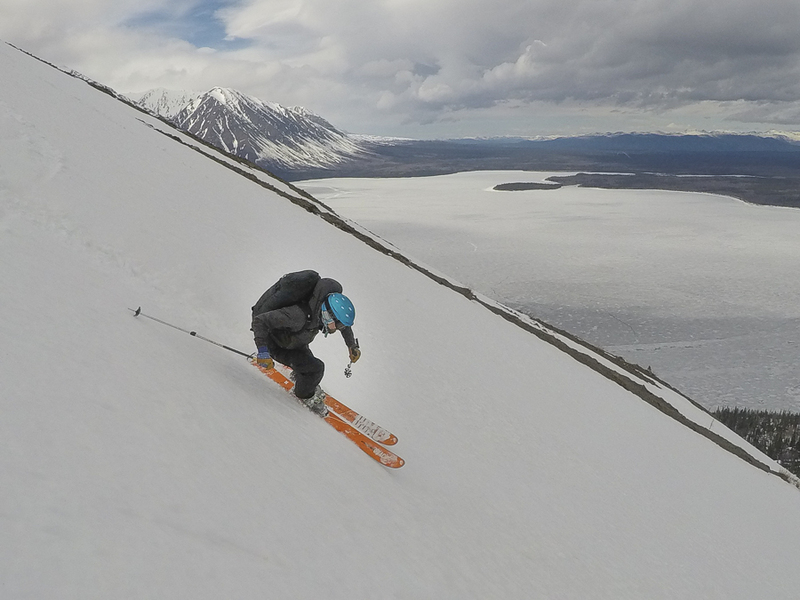 I will be a boy alone in the AK springtime with an AT setup, safety training, and avy gear. 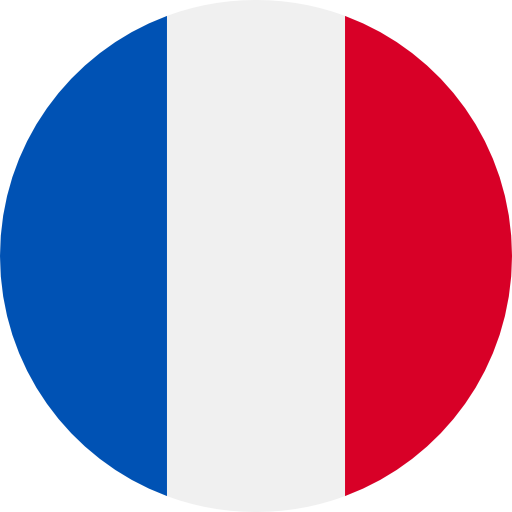 Email me and I can tell you what I can offer the group. 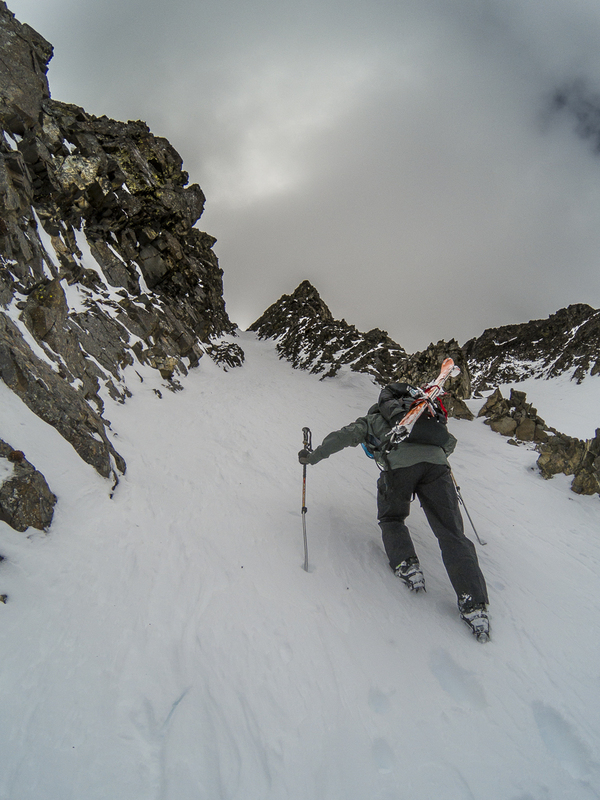 In the East coast the best we have is Tuckerman’s ravine, which is great, but AK is so big with so many options!